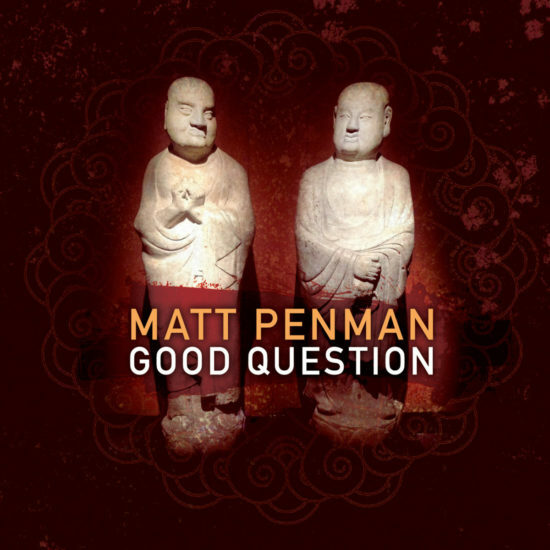 Matt Penman is an A-list bassist who plays in ensembles like SFJazz Collective and James Farm. Not surprisingly, his discography as a sideman is enormous, over 130 CDs. Surprisingly, in our current era of album proliferation, he has made only three recordings of his own. (The Unquiet and Catch of the Day, in 2001 and 2008, on the Fresh Sound New Talent label, are the others.) Good Question, like its predecessors, is unfailingly pretty. “Pretty” can be a pejorative adjective in jazz, but not when the music contains this much intellectual acuity and creative intensity. The ensemble assembled for this date sounds as focused and centered as any working group. Tenor saxophonist Mark Turner, pianist Aaron Parks, and drummer Obed Calvaire are long-term Penman collaborators. Like most jazz musicians under 50, Penman prefers to record his own compositions. It would be interesting to hear this band of badasses have its way with a known song; no such luck. But Penman’s tunes are appealing forms, and he trusts his sidemen to open them up and improve them. Turner plays with an uncommon blend of elegance and force. Even on a harmonically counterintuitive piece like “Small Famous,” his flow of spontaneous ideas sounds foreordained. Parks takes only incisive yet lyrical solos. “Fifths and Bayou,” based (like many Penman tunes) on a quietly insistent piano vamp, is a twisted strand of bright melody. Soprano saxophonist Will Vinson, who plays only on this track, beautifully extends it, his tone like silver light. Penman picks his spots for his own solos. When he takes over a song, like “Blues and the Alternative Truth,” he rivets attention as few bass players can. Throughout this refined music there are undercurrents of urgency from his provocative bass lines, and also from Calvaire’s shifting emanations of energy. Preview, buy or download Good Question on Amazon!